Angle of 45 degrees ensures continuous operation under the microscope. Two-stage supercharging brushless pump, air pressure stability, long life. The station has a precise setting of operating temperature and airflow, and possibility to set own profiles. Electronic temperature control system range: 100 ÷ 450 °. Three regular channels are “CH1”, “CH2” and “CH3”. Equipped with pure copper transformer, durable and fast heat dissipation. Mini Intelligent Welding Platform Rework Station. New JBC Nase 2C Nano Station in Limited Offer !! take advantage!! JTSE-2QA is is a high powered hot air station for repairing all types of SMDs quickly and safely, including the biggest QFPs and PLCCs. 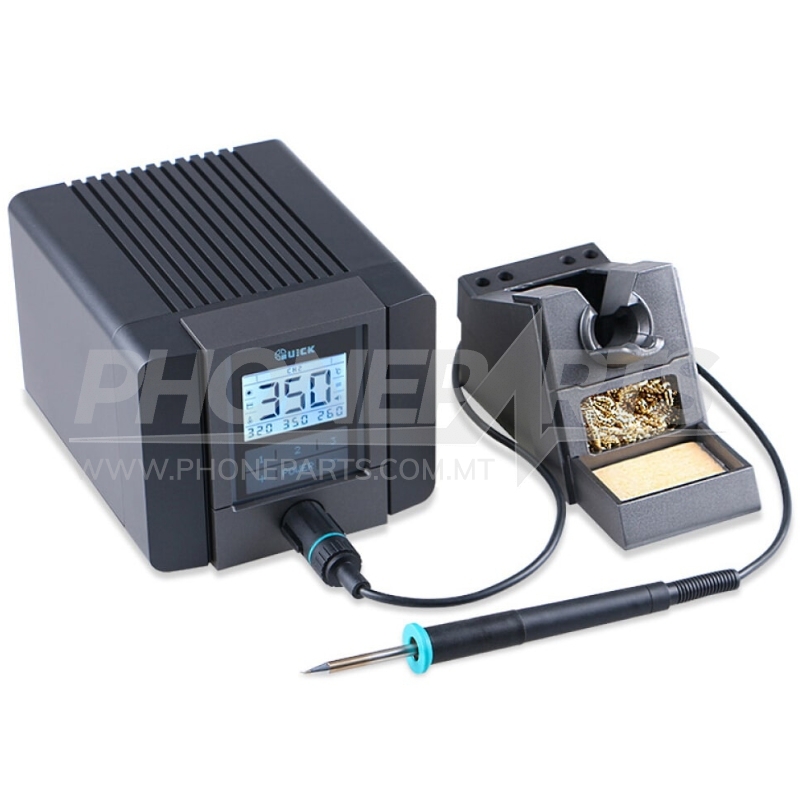 TESE-2QA is a precision hot air station for repairing small and medium SMDs quickly and safely.